Wace Morgan’s Senior Partner has retired after more than three decades of loyal service. Mrs Madeleine Butcher, who started her career with the firm in 1980, went on to be the head of the firm’s family department and then Senior Partner. She was one of only a few legal professionals in the region to be accredited by the Law Society Children’s panel, meaning she could represent children in court proceedings. Madeleine commented: “I have enjoyed working for the people of Shropshire for over three decades and it has been exciting to see Wace Morgan grow into the thriving practice it is now with more than 80 employees. Madeleine will be succeeded as Senior Partner by Jeremy Taylor, who heads the personal injury department. 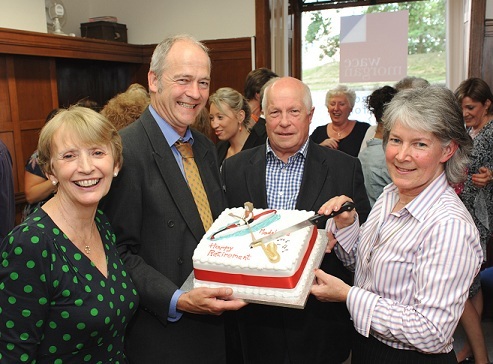 Pictured at Madeleine’s retirement party, from left, Managing Partner Diana Packwood, Jeremy Taylor, Edward Butcher and Madeleine.